I had my phone stolen a couple weeks ago. I was on the Metro in Brussels. It was late at night. I was standing. I had it in my hand and then I noticed that a seat had come up. I must have put my phone in the side pocket of my backpack before crossing the carriage and sitting down, a distance of all of about six feet. By the time I sat down, it was gone. I’m normally really good at being aware of my surroundings and belongings. I’d never been pickpocketed before and I like to think it’s because I am smarter than other people. But putting my phone there was a bad decision. I sat and stared at the people in the seats beside the aisle. One of them certainly had my phone but when it’s late at night and there are no staff or police around what do you do? Given the circumstances I just didn’t feel comfortable making a scene. So I stared at them. At the next stop a guy got up to leave. He was holding a phone in his hand that may or may not have been mine. We made eye contact as he got off the carriage. I’m nowhere near as addicted to my phone as a lot of other people but it really put a damper on the end of my trip. Up until that point in time I had been enjoying having a phone so I could use the maps and look up reviews of places I was thinking of eating at. After that I felt a bit lost without it. I’ve been without a phone before. I navigated successfully without one on a previous trip home from London and I adjusted fairly well to what I imagine was the way that people used to have to act. The biggest difference in my behaviour was that if I was planning on meeting up with people, I made sure I left earlier so that I would definitely be on time. That’s a thing I’m trying to do more anyway as I’ve gotten a lot more precious about my own time. But losing my phone has been pretty disruptive of my workflow. I got a new one earlier this week but I’m still in a bit of a funk, and I still feel pretty stupid for losing my other one. I’ll get over it, I’m sure. 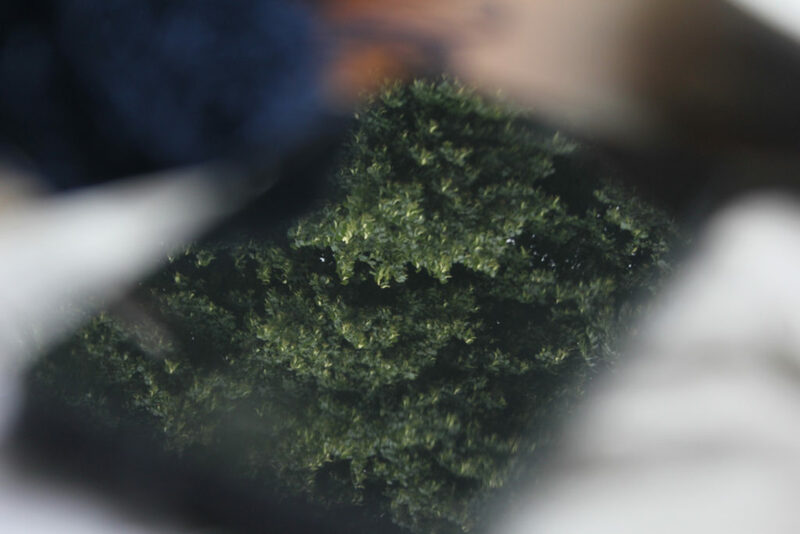 The above is a photo of the back garden reflected in the screen of the lost phone.